This creamy super food has a number of benefits not only for your stomach and weight loss efforts, but for the natural health of your skin. This belief dates back to the ancient days when yogurt was used in the Indian sub-continent to get rid of pimples, and by Cleopatra in ancient Egypt to keep her skin young and supple. In the world of today, the creamy stuff is also being used for the same reasons on the skin, in addition to many other uses. Yogurt contains a very high percentage of lactic acid as well as zinc, B vitamins and calcium. These are the most important of its nutrients which are good for your skin. Fighting acne: The high amount of lactic acid that is present in yogurt makes it the perfect remedy for getting rid of acne fast. You can either have it on as a mask or just eat it and enjoy as it works its magic within your body. Both ways are safe and are guaranteed to give results. Anti-aging: Egypt’s Cleopatra knew what she was doing when she bathed inside some kind of a bathtub full of yogurt. The reason for this was that yogurt fights the free radicals in the body that cause premature aging using its biggest component which is lactic acid. While at it, it also delays the appearance of wrinkles on the face. But since it is a bit unrealistic to dip your whole body in yogurt, you can apply it on your face and wash off after 30 minutes. Lighten dark circles: The zinc that is found in yogurt has a way of lightening skin blemishes and discolorations. This also happens for dark circles under the eyes which make you look like you are forever tired. For this to work, you can dilute the yogurt in water then apply on the blemishes you want to banish. Let it stay for 15 minutes then wipe it off. Repeat for a week or two. Moisturizer: Yogurt is a great moisturizer for your skin especially if it looks dull. 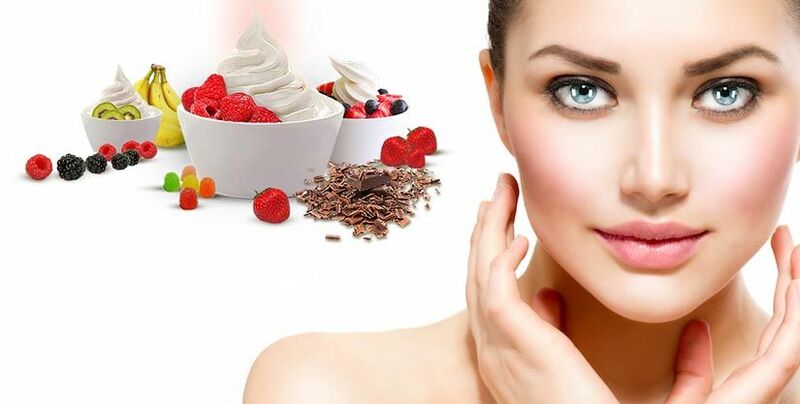 By having a yogurt facial, you will be reviving your skin and naturally exfoliating it. The results will be a natural glow and a smooth skin. For this facial, all you need is to wash your face first, then apply the yogurt, and rinse it off after 20 minutes. Sunburn relief: Dubai is the city of sun and sand, and if you do not watch yourself you might end up getting sunburned. If this unfortunate mishap happens, worry not because yogurt has your back. The zinc present in plenty in yogurt will cool your sunburnt skin. Apply the yogurt on the sunburnt areas, let it sooth your skin then rinse off after 20 minutes. Since there are hundreds of brands of yogurt in the dairy aisle of your local grocery store, it is important to note that not all yogurts are the same. For the creamy stuff to work wonders on your skin, it has to contain lots of probiotics, unsweetened and natural. If you use the sweetened stuff, you might end up with irritations on your skin. So stay on course and enjoy the real form of yogurt. For information on skin care and skin anti-aging treatments, kindly call us for an appointment, and we promise you will not be disappointed. You Don’t Want to Miss This - We have a Special Offer on Dubai Skin Care Treatment Guide For You. You are just a step away!